Prayer is powerful because the One who hears us is powerful. Unified prayer is powerful. We see so many problems on the news and I can say with great confidence we need God. If you read the news you know we desperately need miracles and God’s protection all over the world. We can not be sleepy or apathetic. God has solutions. He is the solution. The Bible tells us to pray without ceasing! It tells us that the prayers of a righteous person availeth much. That God is just, powerful, and moves on behalf of His people. We can make a difference in our world today. Let us pray. Let’s pray God’s Kingdom come and His will be done on earth as it is in heaven. Let’s pray the word of God. His word does not return void. It accomplishes all it is sent out to do. 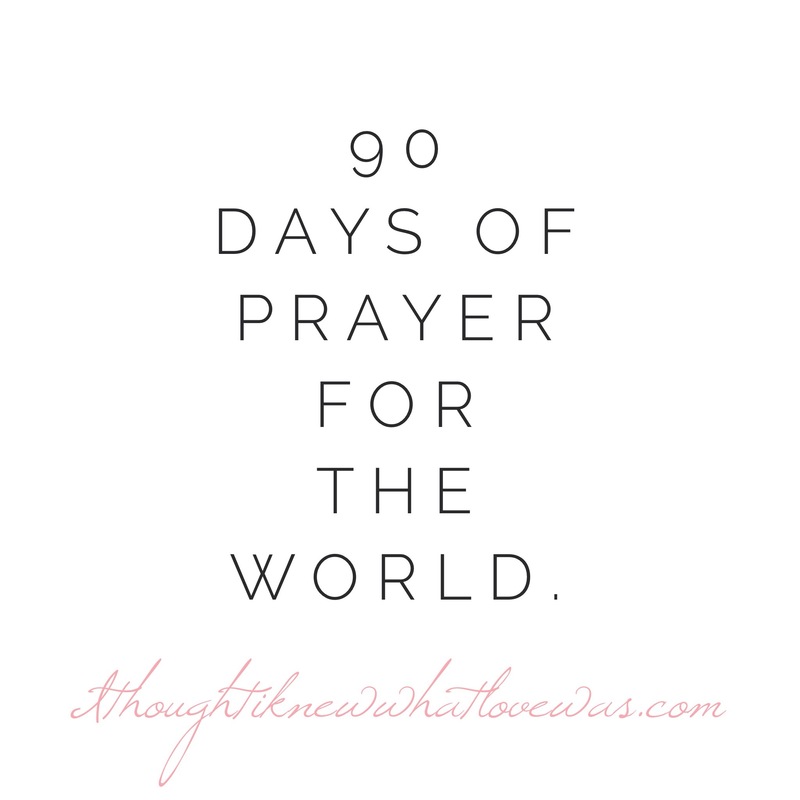 This prayer initiative has already started, yet I’d love for you to join. It’s not simply for 90 days, yet placing a number on it helps some people to focus. Many won’t commit to years of prayer. I will post another page with scripture prayers for the world. “if my people who are called by my name humble themselves, and pray and seek my face and turn from their wicked ways, then I will hear from heaven and will forgive their sin and heal their land,”~God (2 Chronicles 7:14).